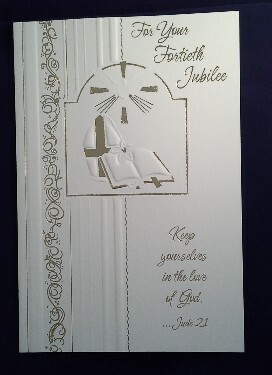 Message Inside: God bless you on this day and ever after, too. May your life of deep devotion be a happy one for you. 4 1/2" x 6 3/4"